I remember the first time I saw OnLive demoed for me. Three years ago, I was ushered into a conference room on Manhattan's Midtown East neighborhood and saw Crysis running of the cloud gaming service's network. It looked impressive, sure, but there could have been all sorts of tomfoolery going on to make the streaming look that good. But when I demoed it at my own desk some months later, I had to admit that the experience was better than expected. Damn if the thing didn't work pretty well. Damn if they didn't invent something that really didn't exist before. The saga of OnLive took surprising turns over the weekend as the company went from suddenly not existing anymore to a hollowed-out version announcing that it was still operating. While you can't have a funeral for OnLive since the service is continuing, it's still arguably the end of an era Some small part of me always rooted for OnLive, despite experiencing firsthand the challenges that the cloud gaming service faced. The key component of OnLive—streaming games hosted on servers elsewhere—worked but it was met by obstacles on nearly side. When I reviewed the company's micro-console more than a year ago, I was locked out because my cable bandwidth was so terrible. This was despite the fact that it exceeded the minimum standards set by OnLive. Those hiccups got ironed out but the microconsole was still limited to a hardwired Ethernet connection. The lack of WiFi in a gaming device felt annoyingly backward. A year later, that hasn't changed. Nevertheless, once you got onto OnLive, the catalog of games was dwarfed by what you could access in a game store or, worse, Steam. The offerings did get better with time and it was more common to see big releases like NBA 2K12, Deus Ex: Human Revolution and Darksiders II launch on OnLive on their dates of release. But it still seemed like a perpetual game of catch-up. Another problem with OnLive was the way that they tried to position themselves. No exec or PR person I ever spoke to at the old OnLive ever fooled themselves that they'd replace the Xbox 360, PS3 or Wii. They saw themselves as additive, a place where you could sample games before you bought them or rent titles without having to wait on the mail. OnLive always seemed like an alternative and not like a main destination, which was sort of refreshingly blunt, but it also made them easy to ignore or forget. The smart-TV partnerships that OnLive struck up with Vizio, LG and other manufacturers gave OnLive another entry point into the living room, but those deals would also be vulnerable to the quality of broadband. And in each of those deals, OnLive was just another bullet point in a long list of similar features. Hard to muster a reaction stronger than, "Oh yeah, OnLive…" when it's presented like that. There was slightly more wow associated with the company's moves on tablet platforms, though. When OnLive's controller-and-app combo launched last year, it looked like a great way to get the kinds of deep, rich AAA game experiences that were sorely lacking on bigger-screened handhelds. I tried it on iPad and really liked it. But while an Android launch spread out amongst that operating system's various devices, an iOS offering never materialized. OnLive never commented on the delay and what might be behind it but I think it's reasonable to speculate that they ran afoul of Apple's restrictions on in-app purchases. Apple wants all in-app purchases to run through their App Store infrastructure and the ultimate stumbling point may have been a failure to get OnLive's in-client economy to fall along those strict Apple guidelines. Whatever the reason, OnLive found themselves with no way into the ecosystem of Apple's incredibly popular iDevices. Not a great place to be. A well-received foray in cloud-based productivity called OnLive Desktop followed, using OnLive's streaming tech to host access to Microsoft Word, PowerPoint and other programs. But games were the company's main focus. And the recent announcement that OnLive would be appearing on the Ouya console seemed like another chance for them to grab the precious eyeballs they needed to stay viable. But then the crumbling and rebirth happened. OnLive's latest mutation isn't the end of the affair by any means. What Lauder Partners has invested in is a company that reportedly still owns the servers, patents and partnerships that the old OnLive did, with a fraction of the operating costs. That makes them even more attractive to potential buyers than they were before. Picking up OnLive would be a no-brainer for Microsoft, especially if they want to be on equal footing after Sony's purchase of rival cloud-gaming outfit Gaikai. But a juicier fantasy would be an acquisition by Google. The search giant's server infrastructure would probably help mitigate OnLive's network problems and Google would get a distribution pipeline for Google Play content that's already optimized for gaming. The two companies already have a pact in place and OnLive might even thrive as part of the Google Fiber initiative. 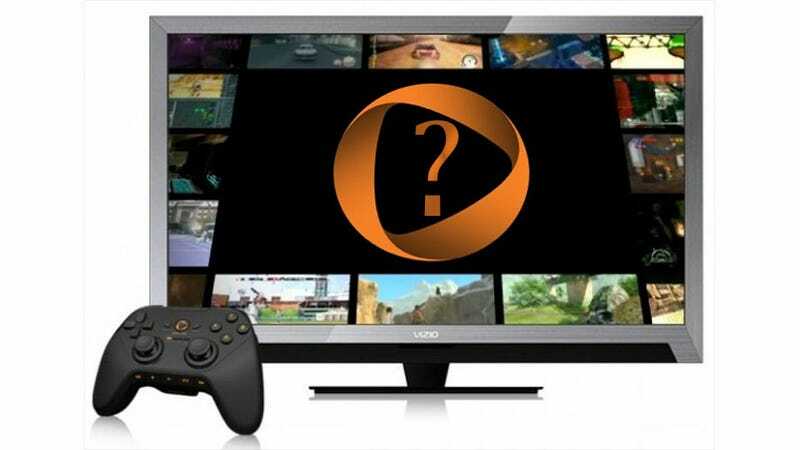 Valve's already working on its Big Picture offering, so it seems unlikely that they'd want to acquire OnLive to integrate it into something that's already well underway. Someone somewhere might wind up buying OnLive in its newer, leaner form. But if the service is ever going to reach its full potential, it's going to have to be a buyer that can address the problems—building a catalog, optimizing bandwidth, establishing a real foothold in living rooms and mobile platforms—that plagued OnLive's previous incarnation. OnLive still probably points the way to video games' future, but it's going to an extremely bumpy ride for the company to get there at all.